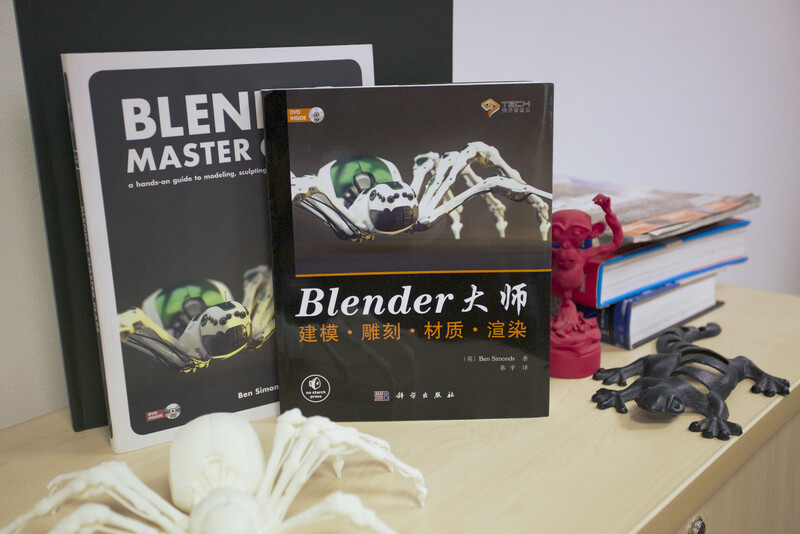 Thanks to the hard work or Leon Cheung in translating it, Blender Master Class is now available in Chinese! Thanks also to Leon for sending me a copy as a souvenir. It looks great.